"For my grandfather loved talking trucks with you and listening to stories of the past. You will be greatly missed." Robert M. Linscott passed away suddenly at his home on January 30, 2019 at his home in Union. 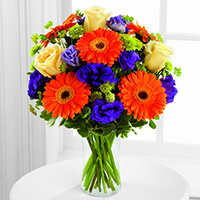 Bob was born on May 24, 1935 in Washington, ME to Robert and Doris (Finn) Linscott. Bob was educated in Washington and graduated from Union High School in 1954. He worked for many years at Boynton Chevrolet, Fuller Equipment and Fuller Cadillac. After retirement, he continued to work, driving trucks and mowing fields for Allen’s Blueberries in Union. Bob married Janice Mae Gorden on June 17, 1956 and made their home in Union. They had two sons, Milton and Rick. 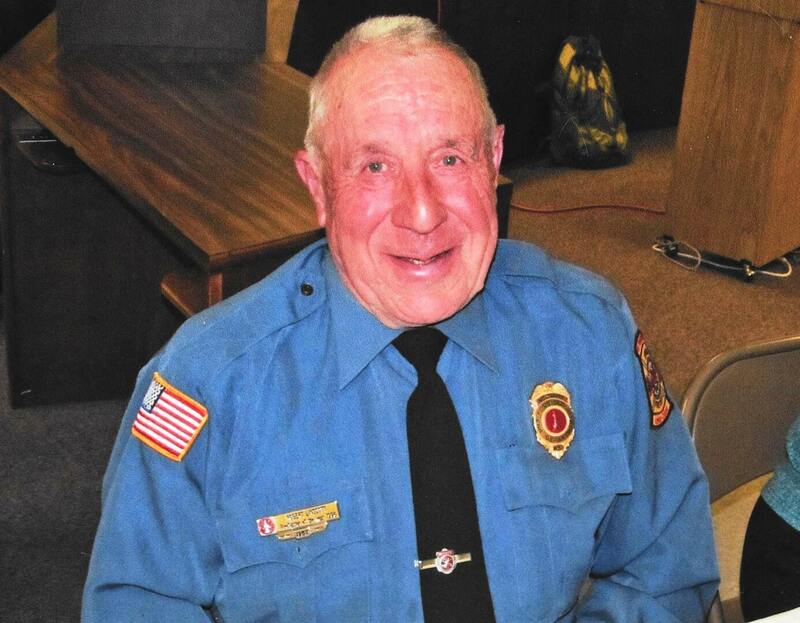 Bob joined the Union Fire Department in 1957 and had faithfully served for 62 years. 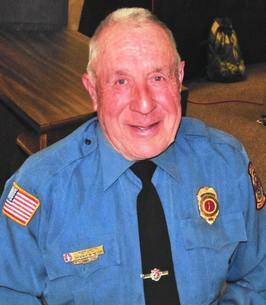 He was the 1996 Fireman of the year and had a pump truck dedicated in his honor in 2009. Bob was a Mason, and a lifetime member of the Knox County Firemen Association. Bob was a gentle soul, with a quick smile and a heart of gold. He loved to hear a good story, and tell one or two of his own. He had a love of tractors and trucks, and never passed up an opportunity to drive one. He had a passion for John Deere, but would happily drive a tractor of any color. He enjoyed cutting firewood with his son Rick and his brother Berkley. The past four winters, he has helped Rick in the woods, driving a skidder and pulling wood out to the lot. He loved his family dearly, and enjoyed spending time at the family cottage, looking at the lake and watching the kids swim. He is survived by his wife of 63 years, Janice, son Milton and wife Pam of Fort Myers, FL, son Rick and his wife Kim of Washington, grandson Harrison and wife Catherine of Union, and grandson Ben and great-grandson Ethan of Cape Coral, FL, brothers Mahlon and wife Barbara, Berkley and wife Nancy, and sister Marguerite, all of Washington. Also sisters-in-law Joyce Hills and Lorna Hills of Union and Sally Gorden of Connecticut, nieces, nephews and extended family. Visiting hours will be held on Friday, February 1, 2019 from 5-7 p.m. and a funeral service will be held on Saturday, February 2, 2019 at 2:00 p.m., both at Hall Funeral Home, 949 Main Street, in Waldoboro. A reception will follow the service downstairs at the Union Town Office. My prayer and condolences go out to your family. I just learned of Bob's passing last night after my husband got home from firefighter 1 and 2 class where there are a couple of Union firefighters. I worked with Bob at Allen's, he trained me and took me to each field showing me everything I needed to know. I still got lost finding some of the fields but he would laugh and tell me you're doing good job and you'll get quicker as you get use to traveling the roads to get to the fields. Every morning he would say good morning and tell me to be safe on the roads. Bob was an amazing gentleman and always had stories to tell me. I am sorry for your loss and Bob will be greatly missed. The loss of Bob leaves a hole in the heart of the Johnstons, neighbors and friends for so many years. 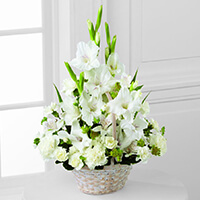 Our condolences to Janice, Mahlon and Barbara, and Berkley and Nancy, and the rest of the family. He will be missed by all, a man who never had a bad thing to say. I love and miss you Grampy. For my grandfather loved talking trucks with you and listening to stories of the past. You will be greatly missed. Sorry to hear of Bob's passing. He was a gentleman in every sense of the word. Bob was one of the kindest men I have ever met, great father wonderful husband and outstanding friend .My families lives are blessed to have Bob a part of them.We will miss your smile and kind words we love you bob,and we love you too Linscott family god bless you all, love jim, Annette and Brendyn. Our beloved brother, forever loved and remembered.